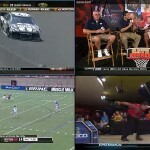 Hulu Plus is the paid internet TV subscription that Hulu offers for $7.99 a month. Basically Hulu Plus is, well, Hulu plus the added benefits of more content, multiple device access, and added video quality. And as for those who do not know what Hulu is, Hulu is an internet TV provider, which lets subscribers watch movies and television shows on-demand online. 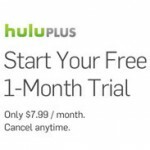 How does a Hulu Plus rate against Hulu’s free offering? We have partnered with Hulu to give our readers a 1 week free trial of Hulu Plus. Give it a try! Commercials. Advertisements still interrupt your viewing time, although not as much as with the free version of Hulu. Hulu says it uses the ads to keep the subscription price low, but it would be nice to have an ad-free option available. 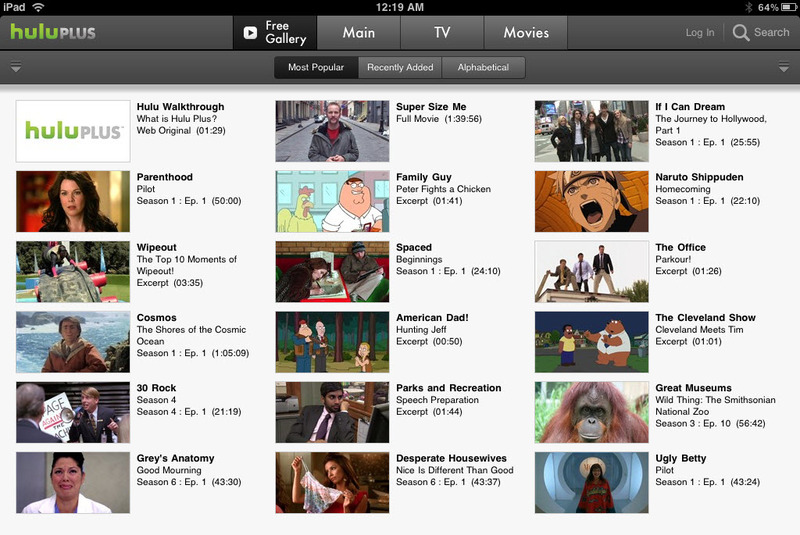 Watch Hulu’s guided tour of Hulu Plus right here! Free Hulu Plus for One Month! 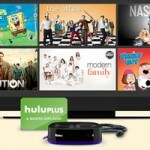 Buy Roku HD & Get 6 Months of Hulu Plus Free! The simple answer is that depends on the speed that Hulu is streaming the video to you. About a year ago, Hulu said that for 360p it streams at about 650 Kb/s, and for 480p streams at 1 Mb/s. Assuming the streaming speed is 1 Mbps (it’s going to be more if you’re streaming HD video), streaming 1 hour of content would use up about 450 MB. You can calculate this by taking the 1 Megabit per second streaming speed, multiplying it by 60 seconds per minute, multiplying by 60 minutes in an hour, and then dividing all of that by 8 to get the amount of data in Megabytes (there are 8 Megabits in 1 Megabyte). Most 1 hour shows being about 40 minutes, that would calculate out to about 300 MB — (1*60*40)/8. I’ve never been so frustrated than when I got Hulu Plus. It says it has every episode… A random 4 were missing from the middle of the season because te expired. It is way too slower for anyone to actually have patients to watch something. Netflix is a million times better. This is not even worth a one week free trail. Terrible. I think Hulu Plus is great for watching certain shows. 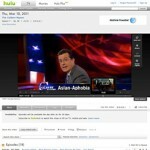 I really like to watch The Daily Show and The Colbert Report and Hulu adds new episodes the day after they air. The commercials are a little annoying and that is where Netflix has an advantage as their shows are commercial free. But Netflix doesn’t offer shows the very next day after they air like Hulu Plus does. I also noticed that some episodes do expire. For example, I wanted to go back and watch the show Revolution from the beginning but several of the early episodes had already been removed. I’m not sure how that all works because some shows do have all the episodes available. I have both Hulu Plus and Netflix and together you get a ton of content for $15.98 a month compared to the $100 I was paying for cable.